I walked in on an interesting conversation the other day. I heard a young woman, obviously much aggrieved, saying to her friend, “Of course, he lies. He’s a (Sun Sign withheld to protect the innocent) and they’re the biggest liars in the Zodiac.” Then both women turned to me. Knowing that I was an astrologer, they wanted me to approve this verdict. Unfortunately, I could not; and it wasn’t just that I didn’t agree with the woman’s judgment of that particular sign. All I could tell these ladies is that every Sun sign is capable of being the biggest liar in the Zodiac. Over the next few weeks I"ll examine each sign's potential for telling lies. I will start with Aries. Aries people are rarely skillful liars. Generally speaking, they haven’t got the psychological make-up to get away with even the best fabrication. They lack the forethought to plan a good lie, the subtlety to know when they’ve said enough and the organization to keep track of what they’ve said to whom. But if and when Aries people do tell a lie, you can bet it will be a bold and brassy one. Usually these lies will be a product of their own egotism. They promise more than they can deliver or they confuse boasts with facts. At other times Aries will lie to cover-up the difficulties, or perhaps the disasters, into which their impulsive natures so often land them. 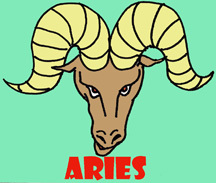 In either case, Aries will express their falsehoods loudly and with emphasis. 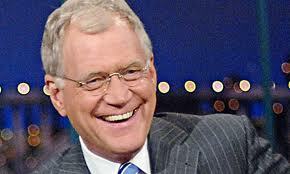 David Letterman provides us with a good example of an Aries Sun Sign caught in a lie. Only a few months after his marriage to his long-time girlfriend, it was revealed that the comedian and talk show host had had an affair with a woman on his staff. What precipitated the revelation was an attempt at blackmail. Letterman responded to the blackmailer’s challenge by confessing everything on his own television show, foiling the criminal but also placing his marriage, his relationship with his son, his carefully guarded privacy and even his career in jeopardy. This is what is truly remarkable about the Aries liar. When they are caught, and they almost always are, they have the courage to own up to their untruths and take their lumps. For Letterman this uncommon candor seems to have allowed him to survive the scandal with his family and his job intact. Not all Aries liars are so lucky. So what sign would you call "the biggest liar in the zodiac"? Would it be Aries? Go to comments an let us know.